"…if I go to where the inspiration really came from… it could be simply the image of Antoine Wolfe, our main protagonist in #1, a hard-boiled ex-army detective who can see too much for his own peace of mind, living in a glorified shack in Echo Park surrounded by boxes of books, empty bottles of booze, prescription pills and some things we can’t quite figure out until the end of issue one. It’s a cliche, but the biggest cliches are often cliches because they are true: it all starts with a character. And Antoine is real. (…) the Los Angeles we explore is decidedly our Los Angeles, but it has a massive amount of citizens we do not see. And Antoine Wolfe does, which means he’s in demand. 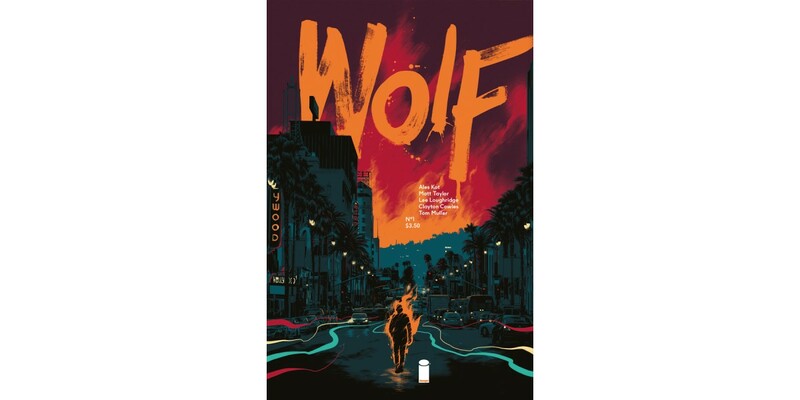 Of course, there’s also something strange crawling through the hills, ripping people up…a girl who just lost her parents… a hyper-wealthy racist named Gibson Sterling… vampires… werewolves… and a whole lot of uneasy, oozing atmosphere. But not all is doom and gloom, because we’re in a hyper-sunny LA, the kinda place where it might be Christmas and you won’t even notice."